Citus is an open source database built on top of Postgres, ideal for app devs building multi-tenant B2B applications & real-time analytics. Its latest release includes a number of improvements including pg_stat_statement and concurrent index support. Use GPUs to accelarate sequential scan and join/aggregate functions in Postgres. Slidedeck with more info. 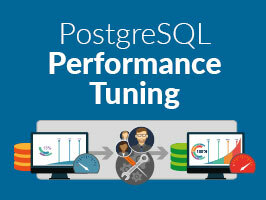 As primary contributors to PostgreSQL, our expert consultants provide a personalized service for tuning your database based on your organizational workloads. We help you deliver outstanding performance to your customers while ensuring data integrity. PGConf EU, one of the largest Postgres conferences is happening again–this year in Warsaw. The call for papers and sponsors is now open, if you’ve got something interesting to say about Postgres consider submitting. Heap is an analytics company with unusual database requirements. Postgres handles it well, though, even when there are over 10 million indexes in their database. Postgres is a great database for working with time, even when you compare it to other “time-series” databases. Here’s a look at some functions, datatypes, and tips for working with time in Postgres. See how easy it is to migrate procedural code from Oracle to PostgreSQL using AWS SCT. Logical replication with Postgres 10 seems ready for prime time. If you’re looking to get started with it here’s an early guide for getting things setup. Each time Postgres runs a query, it does a lot of work to figure out an efficient path. You can get the insights of what Postgres will do with EXPLAIN and EXPLAIN ANALYZE, and here’s your initial guide on how to use each. Adding to the options of Postgres replication managers, here’s a cloud native manager for PostgreSQL high availability.